MY search for answers & explanations to, 'India's Muslim Questions' had, as if, begun very early in life. I can recall, with all the profound innocence of a four years old, the strange atmosphere of the summer of 1947. The red covered 'Vahi', also called 'Chaupatta', i.e. the double-folded long-paper-sheets, family-record-book, confirms, "July 26: Rs 7/- spent on the materials for 'Amrit-paan', i.e. 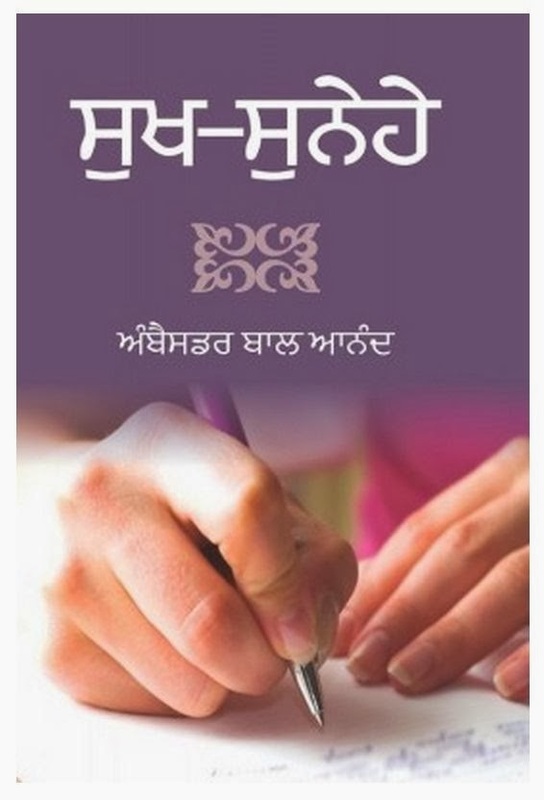 the Sikh Baptism ceremony". The partaker was my father who had added, 'Singh' to the given family name and also started sporting the Sikh 'Kachhehra', i.e. long pair of breeches extending up to knees instead of Dhoti. He also gave up sharing the 'Hookah', i.e. the traditional 'hubble bubble' with his grandfather. He was exactly 27 year old at that time, well read and well travelled, his spiritual journey from from a 'Sahajdhari' to 'Amritdhari', I may now say, reflected the spirit - 'Garam Hawa' - of the fast changing Time! The 'Vahi' has also on record that my great grandfather, a renowned physician-scholar and Guru of my father, passed away on 19th October - a day after the death of long ruling popular Nawab Ahmed Ali of Maler Kotla, the only Muslim state in the east of Sutluj. It was on 29th October 1947, at the Bhog Ceremony, i.e. the last prayer for my departed great-grandfather after the complete recital of the Sikh scripture, Shri Guru Granth Sahib, that I overheard - and half understood - Pandit Barkha Ram, a learned Brahmin and close friend of the departed, saying "Ghor Kali Yug -the worst of the epochal ages - has indeed arrived; the noble people can no longer endure witnessing the brutal killings and the grossest injustice being heaped on humanity...". The first 100 days of the long awaited freedom of ancient Hindustan and birth of a brand new nation, Pakistan - the land of the Pure - had indeed witnessed the worst kind of violence against innocent people, in the name of religions! The emergence of Pakistan had been considered an inevitable historical and political necessity by the retreating British empire; hailed as the ultimate solution to the Muslim 'Question/Problem' of Hindustan by the separatist Muslim League led by a determined lawyer, Muhammad Ali Jinnah and an avoidable most tragic blunder by Maulana Abul Kalam Azad & the Indian National Congress. The unprecedented situation was seen by many as the culmination of a process of churning, for centuries, of the waters of the civilization of the great Indo-Gangetic plains - containing both the Amrit, the heavenly liquid & also the worst poison. The Shiva like figure, Mahatma Gandhi, who could have swallowed the 'poison of raging communal hatred' was soon eliminated from the scene by elements interested in only the relentless pursuit of Power. The majority of my school teachers were 'the refugees' from the other side of the Radcliffe Line. One of them, the erudite Ashni Kumar, remained my, 'friend, philosopher, guide & Guru Extraordinaire' till he breathed his last in 1991. He belonged to the town of Gujarat, the home of legendary folk heroine, Sohni. He had studied in Lahore in the early thirties and used to tell me proudly that he was taught English by Prof. Madan Gopal Singh who was killed in the communal riots (like another brilliant Prof. Brij Narain of Economics) and great Sanskrit scholar Dr. Raghuvira who had later become President of then Bhartiya Jan Sangh. We exchanged regular correspondence often dealing at length on issues relating to religion, politics education, literature, particularly in Urdu, Hindi, Punjabi etc. He was, with his clearly progressive leanings, always so eloquent on themes of communal harmony referring to the deepest reservoirs of goodwill in all religious texts-and the ghashtly gaps in practice by the followers! When I had joined the college in Maler Kotla, he would ask me about the atmosphere of studies and the attitudes of Muslim Students. He would tell me that majority of his friends in college in Lahore were Muslims who used to tease him saying 'the real communalist is your Gandhi who is always indulging in strange religious practices in public; our Jinnah never goes to any mosque, nor does he observe any other Islamic rituals ... loves 'good' things of life!'. They would add that Jinnah mostly talked of the economic backwardness of Muslims and their lesser than legitimate share in the structure & system of the prevailing, and would be, governance of the nation. It was in the above background that the title, 'Muslims in Indian Economy' First Edition, September 2006, caught my attention at the book sale counter on 1st January 2009 at the annual day long cultural congregation organised in memory of playwright political activist Safdar Hashmi 'martyred by hooligans of Congress Party in 1989'. The book has been published by Three Essays Collective in its series focusing on 'issues of contemporary concern ... to familiarise readers with current debates ... '. The reference to the similar questions above by my school teacher - debated during the decade following the adoption of the Resolution of 'Sampooran Swaraj' i.e. Complete Independence on 26th January 1929 and preceding 'The Resolution of Pakistan' on 21st March 1940 in the same city on the Banks of river Ravi. 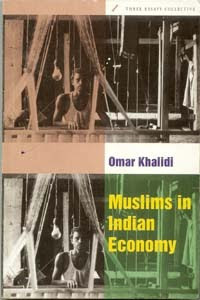 This comparatively slimmer paperback - 240 pages, Rs 275 (India) elsewhere $15 - volume by Omar Khalidi, 'an independent scholar and a staff member at the Massachusetts Institute of Technology' poses all the relevant questions in the Introduction of the book, "What is the economic condition of the Indian Muslims at the dawn of the twenty first century? ... How does the economic profile of the Muslims compare with the majority Hindus, Dalits, and minorities like Christians, Sikhs & Parsis? ... Does Islam, or Islam as interpreted or lived, have anything to do with it? ... What is the record of the post-independence central and state governments? ...". Prof. Khalidi rightly points out that 'answers to these questions require a dispassionate reading of contemporary history ... it is also necessary for the appropriate corrective measure that need to be taken, both by the community leadership and by the state'. The writer refers in the Preface and Acknowledgement that the Indian Muslim Council USA has funded the research for this book. The readership targeted - 'audiences' according to him - is "India's movers & shakers: legislators, administrators, politicians, leaders in business & industry, and the like". The theme of the book, stated in the introduction by the author, demanded treatment in manageable components in terms of regions or sectors of 'the 130 million Muslims in India ... the second largest Muslim population in the world'. The chapter titled 'Medieval and Colonial India' hurriedly traces the contours of the Muslim society as it evolved c.1200-1800 with three broad categories: the aristocracy and nobility, both secular & religious, the artisans and the cultivators. The Muslim peasants and cultivators, like their counterparts in other religions, remained economically active in agricultural production, fishing, herding and other manual work. Independent professionals among Muslims were few, except the traditional doctors or Hakims. The pattern of Muslim economic life did not change radically during the Mughal period of northern India (1520s-1720s) .The steady growth of the authority of East India company eroded the position of Muslims in law courts and in 1835, the introduction of English as the language for official governmental and legal business further marginalised the Muslims. The disaster, according to author, was "the Mutiny of 1857, which though commenced on caste grounds by Hindus, was blamed on the Muslim community as an anti-British revolt". The Muslim exclusion from from the British dispensations took time to be rectified and the process was greatly facilitated by Sayyid Ahmed Khan of Delhi & Aligarh and Qazi Shahabuddin of Bombay. The book is replete with figures from the Colonial records to highlight how Muslims had regained their share in the rank and file of bureaucracy when the movement for Independence from the British rule under Mahatama gained full momentum. The Chapters titled, Independent India; Delhi., Uttar Pradesh (78-120), Bihar, Deccan & Andhra Pradesh (139-177), Karnataka, Maharashtra provide richly analytical information on the profiles of the Muslim communities in these regions. The Indian Muslims - in practice, the educated - had the option of migration to Pakistan till 1971. The opportunities in the oil rich Gulf countries during the last three decades have played a significant role in the evolution of the community. The ever strained Indo-Pak relations have continued to cast shadow on the morale and psyche of the community. In Summary and Conclusions, the author has referred to the progress of the community in the southern states and how lack of education and training in professional fields has continued to negatively impact the Muslims of India. The author has tried to steer clear of politico-religious controversies stating, "the improvement of (Indian) Muslims' economic condition can only be a part of the general programme of poverty alleviation of all (the people of India)". 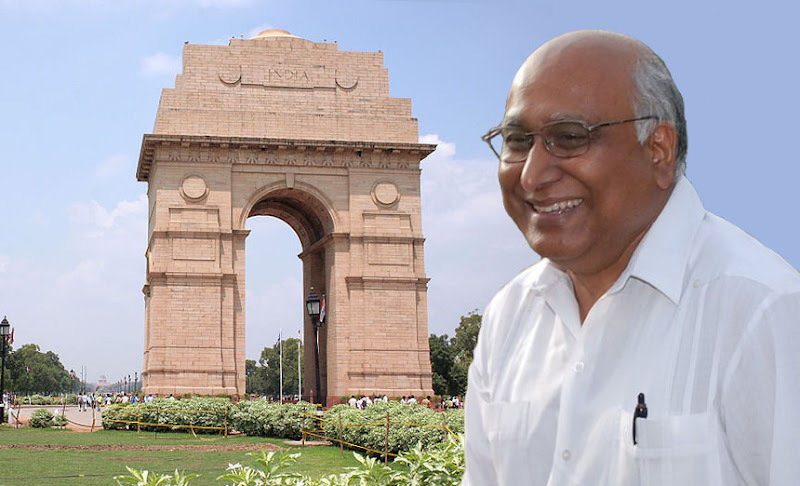 Syed Shahabuddin, formerly of Indian Foreign Service, an ex-MP & Editor 'Muslim India' observes in Editorial of June, "in 2004, 38 Muslims were elected to Lok Sabha; in 2009 the number has gone down to 30 ... on the basis 2001 census Muslim representation should be 72 ... in the 15th Lok Sabha, the Muslims will largely be voiceless: questions will not be asked...". We may, however, like to listen more attentively to Today's Akbar (M.J.), "Pakistan was only ever a very partial answer to what the British called the 'Muslim Question' ... they (Indian Muslims) are convinced now that 1947 was a mirage; but there is too much fog between them and the next horizon ... Economics has flattened the world into a race track, and not every community is in the race ..."
The most crucial question is: should only the Indian Muslims be feeling concerned over the issues pertaining to them? Should not the Indian Muslims also be deeply involved in the matters pertaining to the Majority Hindus & other minorities in the secular Republic of India and vice versa? I would strongly recommend Omar Khalidi's book to all who think themselves that they are 'Indians First' and also to those who prefer to prefix their religious identity to being Indian.